Location: This stone is on the Poor Grass below the south embankment of the Beever reservoir, seven metres from the wall and between the embankment and a bell pit. 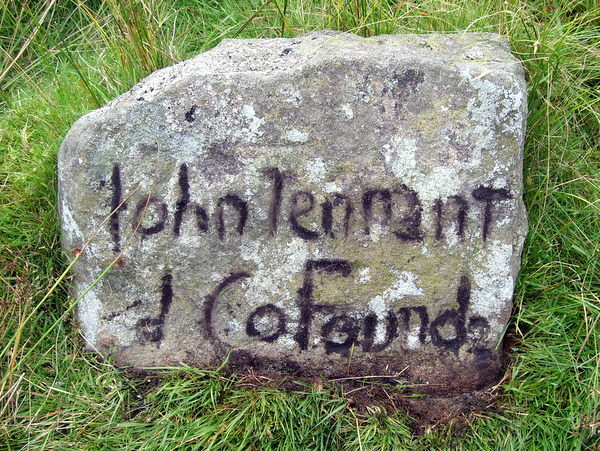 Inscription: John Tennant & Co Found. This is an upright stone about 40 cm high and 60 cm wide. 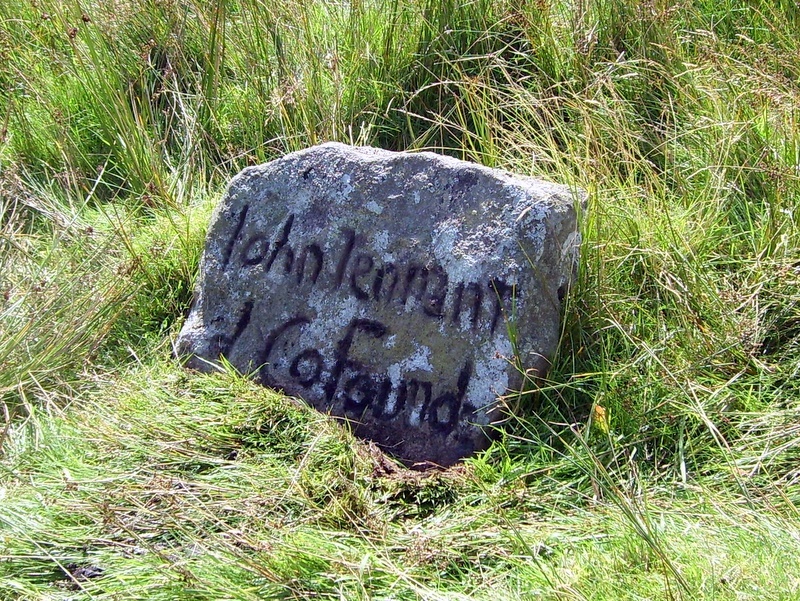 The inscription is very eroded and has been picked out with peat in the photograph. The stone appears to be located at the boundary of three leases marked on the Brailsford 1781 survey – Tennant & Co, Topham & Co, and Chippendale & Co. See Meer Stone 59 for the stone that marks the north-west corner of the same meer. Tennant's leased four meers at this time, and two others of their stones have also been recorded as Meer Stone 42 and Meer Stone 59. The death of John Tenant is recorded in the Linton Parish register for 1792. A version of this page with a drawing of the stone may be found here.